This Dan Dugdale custom Marble neck knife is a ultra unique fixed blade with a D2 steel blade and sporting G-10 handle scales. The Dugdale neck knife boasts marble in the handle which gives it a very unique look and great feel in your hand. Comes outfitted with a black Kydex sheath and bead ball neck chain. 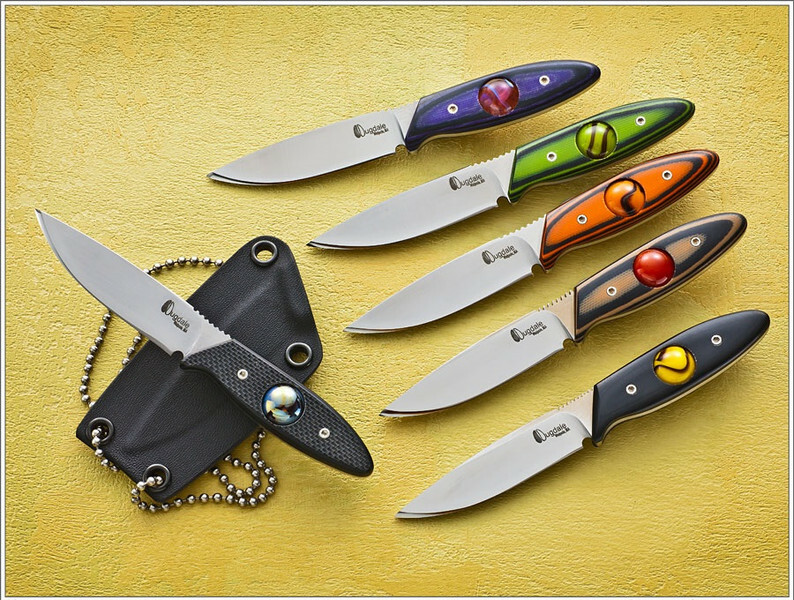 Dan is the creator of the patented Gerber Chameleon folding knife.